A fully qualified, Met office trained, weather forecaster with 20 years’ experience, Clare’s first love has always been weather and science. Her qualifications speak for themselves with a degree in Maths, Masters in Applied Oceanography and a Diploma in Environmental Policy. During her ten years as GMTV’s weather anchor she was in charge of the output and production for science and weather stories. Today, as a freelance presenter she works for BBC North West and as a weather pundit on various TV and radio stations, including BBC Breakfast. She recently co-presented the much-acclaimed children’s science documentary series Fierce Earth for CBBC, now in its second series. 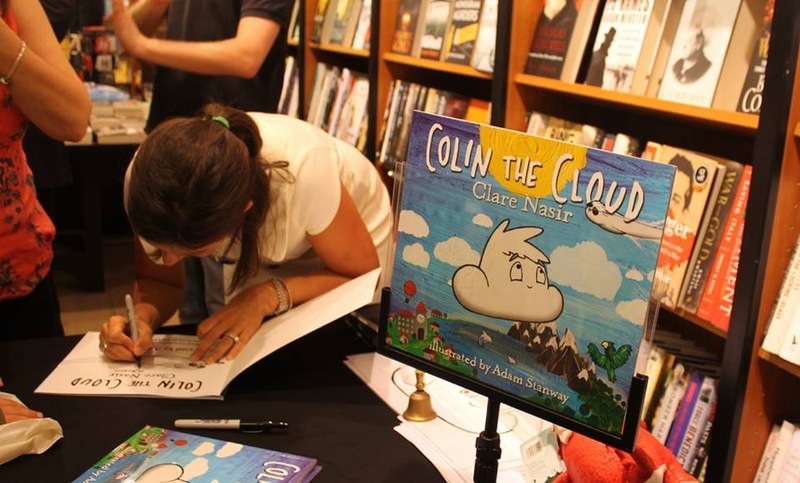 Clare’s experience, together with the fact that she found it hard to find fun, science books for her young daughter, led her to write The Cloud Academy Series. The first of the five book set is Colin the Cloud which was published on the 1st September. Clare is now working closely with schools as weather is on the Year 1 syllabus for the first time. Steve the Stratus, the second book, is due to be published by Rudling House in April 2015.